ABU DHABI, Jan 28 2016 (IPS) - The Paris climate change agreement adopted at the end of 2015 has put renewable energy at the heart of global energy system with investments expected to grow further even amidst the decline in fossil fuels. This was observed by delegates to the sixth International Renewable Energy Agency (IRENA) assembly held in Abu Dhabi, United Arab Emirates. The IRENA Assembly, the first international event to take place after the climate talks in Paris, has attracted governments, the private sectors and parliamentarians to elaborate on how they plan to achieve their emission reduction targets, in part through renewable energy. He said with the agreement in place, there is need for international cooperation at this time of unprecedented focus on renewable energy. “Renewable energy is soaring, growing far more quickly than many predicted and mainstream projections for its future envisage a profound impact on the global energy mix” he said “Renewables today constitute 30 per cent of all installed power capacity, the largest share of any source” said Amin. Studies by IRENA indicate that in the last five years only, the installed solar power increased seven-fold, while wind power capacity more than doubled. Global investment flows into renewables have increased six-fold in the last decade, which is more than five-times what it was only a decade ago. Early estimates indicate that 2015 witnessed continued growth with over 280 billion dollars invested in the sector worldwide with developing countries accounting for half of this investment. European Union Commissioner for Climate Action and Energy, Miguel Arias Cañete, in a presentation at: Ministerial Roundtable on “Concerted action towards Renewable Energy Deployment” said the Paris Agreement was more ambitious than many of them expected. “I was delighted that in Paris Europe threw its weight behind the Africa Renewable Energy Initiative to increase access to clean energy and reduce energy poverty in a region in which 600 million people still have no access to electricity,” he said. He said the Paris agreement was timely given the emerging evidence that renewables have been proven to reduce emissions. “In one year alone, renewable energy helped to reduce Europe’s emissions by the equivalent of Spain’s annual emissions. But just like the rest of the world, we now have to step up our efforts to make sure we meet our renewables commitments. For the European Union that means a minimum 27 per cent share of renewables in our energy system by 2030,” he added. 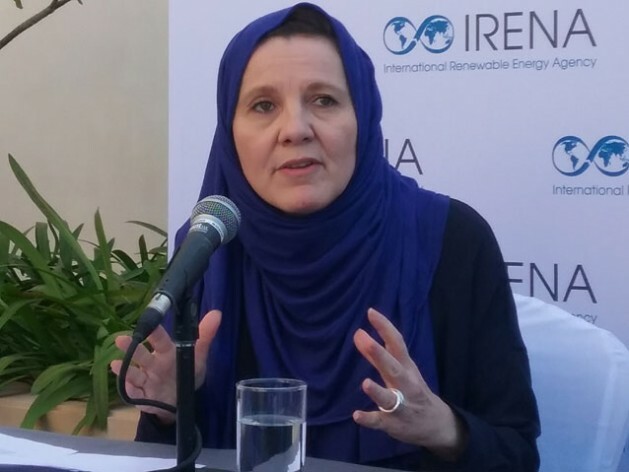 Dr. Rabia Ferroukhi, the Deputy Director of the Knowledge Policy at International Renewable Energy Agency told IPS the deployment of renewable energy technologies and investments is likely to increase given that almost half of the 185 Intended Nationally Determined Contributions (INDCs) submitted before the Paris COP21 had explicit energy targets mainly targeting increased deployment of renewables. She said there has been a declining price trend of in the cost of solar and wind, saying that will be another factor to see more renewables in economies. Dr. Ferroukhi says the renewable energy investments in India and China have also been on increase despite the fall in fossil prices. The price of Brent crude plunged 67 per cent from 112.36 dollars to 37.28 dollars per barrel. A report by Bloomberg New Energy Finance, tracking clean energy investment globally for more than 10 years, found that renewables had attracted a record 329 billion dollars in global investment in 2015. The report said 2015 was also the highest ever for installation of renewable power capacity, with 64GW of wind and 57GW of solar PV commissioned during the year, an increase of nearly 30 per cent over 2014. The investments are said to have surged in China, Africa, the US, Latin America and India in 2015, driving the world total to its highest ever figure, of 328.9 billion dollars, up 4 per cent from 2014’s revised 315.9 billion dollars and beating the previous record, set in 2011 by 3 per cent. It had been predicted that the fall of oil and gas prices would undermine investment in renewables, electric vehicles, and other clean technologies but Michael Liebreich, chairman of the advisory board for Bloomberg New Energy Finance (BNEF) said the figures are a stunning riposte to all those who expected clean energy investment to stall on falling oil and gas prices. Liebreich however says there will need more investments from both private and public sectors in order to push the clean energies further with needed technologies especially in areas where over a billion people don’t have access to electricity. “This is beyond pump priming monies now, this is large scale financing. A third of a trillion dollars per year that needs to grow to half a trillion and beyond is going to require full spectrum of tools in a tool box both in the destination countries and in the funding countries and throughout the capital markets,” said Liebreich in an interview with IPS. Paul Simons, Deputy Executive Director of International Energy Agency told IPS that renewable energy technologies were no longer viewed as expensive option reserved for the rich. “From the perspective of IEA, there shouldn’t be too much competition here but there is little competition with gas prices. In general the factors that push electricity forward should continue to move ahead. The same underlying energy diversification desires by our member states and desire for decarbonisation. So we don’t think long term oil prices will be a major break on renewables growth. However reinforce the need for policy consistency,” he said. An IRENA report titled “Renewable Energy Benefits: Measuring the Economics” found that increasing World’s Share of Renewable Energy would boost global GDP up to 1.3 trillion dollars and increase social welfare and employment. The report released today at the assembly, provides the first global estimate of the macroeconomic impacts of renewable energy deployment. Specifically, it outlines the benefits that would be achieved under the scenario of doubling the global share of renewable energy by 2030 from 2010 levels. According to the report employment in the renewable energy sector would also increase from 9.2 million global jobs today, to more than 24 million by 2030.